Have you ever heard of the phrase “let a smile be your umbrella” ? I remember my first encounter with this left me wondering who wants to have a smile that catches rain. It wasn’t until I got a little older and realized what it was implying. Sometimes we go through life and the reality of it (sometimes things don’t go our way) can hit us and leave us without one of our most important assets, our smiles. Growing up I was always complimented on my smile and I can’t deny that it felt good, really good. So much so that when it was time for graduation in high school I was so keen on having the brightest smile in the auditorium I asked my mom for teeth whitening strips- she said no. I was a bit crushed because it’s not like I asked for a full face of makeup and extensions to the floor. The older the got and the more that I did my research on things like “how to get a brighter smile” I was overwhelmed with the results Google pulled up for me. Have you ever tried a D.I.Y beauty care method and watched it fail epically? I have, I tried activated charcoal and though a few YouTube videos claiming that you could get results- I just didn’t see them, so when I came across Smile Brilliant I was intrigued but a little sceptical at the same time. There are so many companies that make empty promises and I just didn’t want to be let down. When I received my initial package I knew I wasn’t just getting a kit that would potentially whiten my teeth quickly for a few hours, I knew this was the real deal. 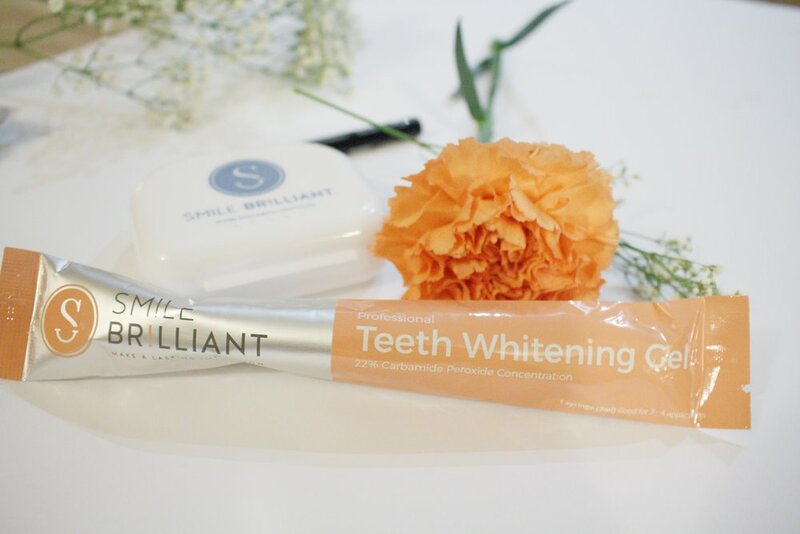 Smile Brilliant provides an at home whitening system and all I had to do to get started was to create custom moulds of my teeth. The package includes two types of putty like substances- a catalyst paste and a base. After mixing the two together I apply them to my trays, one for the top and another for the bottom. I gently press them into my teeth for about 2 ½ minutes. Once both are made I let them sit to harden for about 30 minutes and then rinse them and send them back to get my custom trays. Once my custom trays arrived I applied the teeth whitening solution to the trays and wore them for about 2-3 hours at a time. I know what you are thinking- I don’t have time to do that, yes, you do. You can literally do anything but eat and drink. 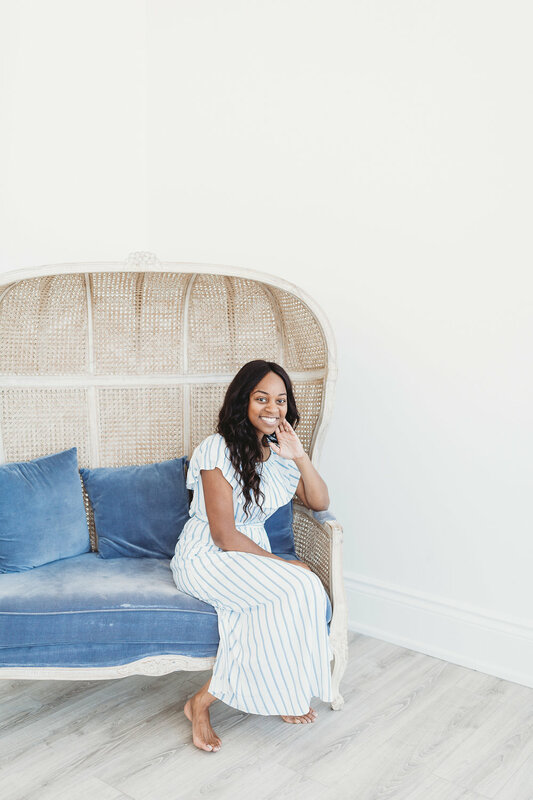 You can make dinner, watch your favourite show, cuddle up with a book or if you’re a busy mom you can chase and play with your kiddos and they won’t have the slightest clue that you are taking steps towards whitening that smile that they love so much. I love that the custom trays aren’t like strips where they will only reach the front of your teeth they can get to the areas you can’t even reach comfortably. Each syringe is good for about 4-6 uses and they also come with a de-sensitizing syringe, which helps for those who have sensitive teeth. Even if you don’t its still recommended to use after each whitening application. The steps are simple and the process really doesn’t take very much time. Within a week you will see results that you won’t be disappointed with. You can see that my teeth (though to the naked eye may seem white) they had a yellow tint that was removed within a few uses. I still have some of the whitening solution so I will continue to get even whiter!